Ann-Margret Hovsepian is an award-winning Montreal-based writer and illustrator, with over 25 years of professional experience in various areas of the publishing world. She has written hundreds of articles for dozens of different Canadian and U.S. print periodicals (click on “freelance” above for samples and more details) and is a best-selling author of multiple devotional books (click on “books”). Her fifth book project, Restore My Soul, is an exciting devotional colouring book that was released in April 2016 and sat on the Christian Bestsellers list for three consecutive months. 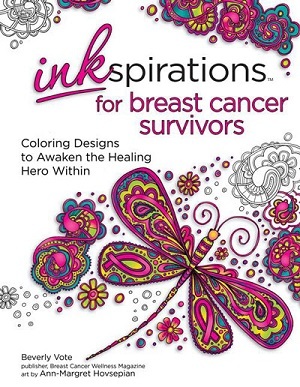 She contributed 31 original illustrations to Inkspirations for Breast Cancer Survivors (HCI Books, October 2017) and 48 drawings to The Jesus Tree – 48 Colouring Pages With Stories For Lent (Volume 2) by Anna Sklar. Ann-Margret had previously contributed five original illustrations each to the popular Whatever Is Lovely and Everything Beautiful colouring books (WaterBrook Multnomah). In addition to her writing and drawing adventures, Ann-Margret has spoken at or led workshops at several professional or ministry events. She was the keynote speaker at the InScribe Christian Writers’ Fellowship Fall Conference in Wetaskiwin, Alberta, in September 2018 and will be teaching a workshop on freelancing at the Evangelical Press Association annual convention in Oklahoma City this April. Follow Ann-Margret on Facebook, her personal blog Piece of Mind, and Instagram for regular updates and inspirational posts.